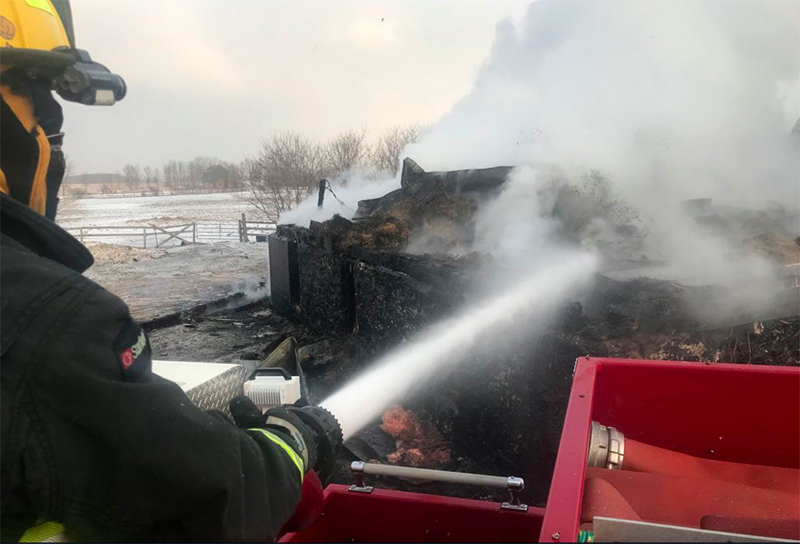 A break from the recent cold snap meant that all the animals were out of a barn that went up in flames Tuesday on the 33/34 Sideroad Nottawasaga. Clearview Fire and Emergency Services Acting Fire Chief Roree Payment said crews were called just after 1:30 p.m. Firefighters arrived to find a fully involved barn fire. “It is an active horse farm but all the animals had been let out in the morning, due to the nice weather,” said Payment. Although the temperature had risen, the wind was strong and from the north, fueling the fire toward a riding arena, attached to the barn with a breezeway. “Crews worked very hard to try to keep the fire from consuming the additional structures on the property,” said Payment, adding they shuttled water from a hydrant on Poplar Sideroad. 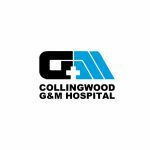 Twenty firefighters from all five Clearview stations responded, with assistance of a tanker from Collingwood, for about six hours. Payment said the materials in the barn made it challenging to get the final remnants of the fire out so firefighters blasted it with the deck gun and a crew stayed overnight to watch for sparks. The fire caused more than $500,000 in damage.